If you follow baseball at all, you are probably already well aware of the classic rivalry between the New York Yankees and the Boston Red Sox. One of the longest running rivalries in the athletic world, this enmity stems from 1918 when Babe Ruth was sold to the Yankees. A string of defeats followed for the Red Sox and the world of baseball hasn't been the same since. The New York Yankees is a pro baseball team from the Bronx, in New York City. 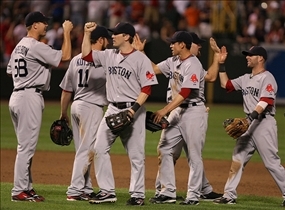 The team is a member of the American League East Division. The Yankees was founded in Baltimore in 1901, when it was known as the Orioles. With the move to New York, the team underwent a name change to the “New York Highlanders” before settling on its present name in 1913. The Boston Red Sox for its part is a pro baseball team based in Boston. Like the Yankees, the Sox is also a member of the American League Eastern Division. The name is derived from earlier Boston baseball teams that were known as the "Red Stockings", and the name has been in use since the team was founded in 1901. Some of the most colorful figures in baseball history have had stints with the Yankees, with Babe Ruth, Lou Gehrig, Joe DiMaggio, Mickey Mantle, and Yogi Berra being only some of the more prominent players. The Yankees have no less than 44 players in the Baseball Hall of Fame. A few Boston Red Sox players have achieved some fame and success as well, particularly Enos Slaughters, with his "mad dash" in 1946 and Carlton Fisk, who scored a home run in 1975. Unfortunately the team has also had to live down a crucial error by Bill Buckner in 1986. The New York Yankees have won an astounding 27 World Series in 40 games. On the other hand, the team also has the record number of World Series losses, amounting to 13. The Yankees has also played in the World Series against every winner off of the National League with the exception of Houston Astros and the Colorado Rockies. 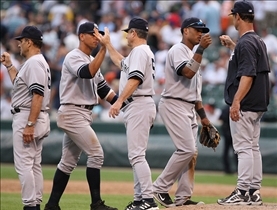 The Yankees has also racked up a higher number of wins than any other team in baseball history. The Boston Red Sox’s early years were marked by a series of championship and World Series wins, the most notable of which was against the Pittsburgh Pirates. The team won against the Pirates in 1903, and by 1918, it had managed to rack up four more championship wins. This would be the last year in a long while that the Sox would take home a World Championship award, which it did so 2004. Derived its name from earlier Boston teams with the name "Red Stockings"
Which is the best baseball team?